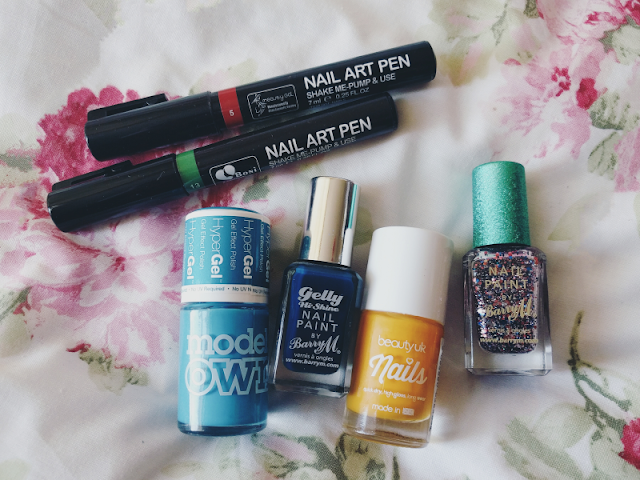 Hi lovelies! 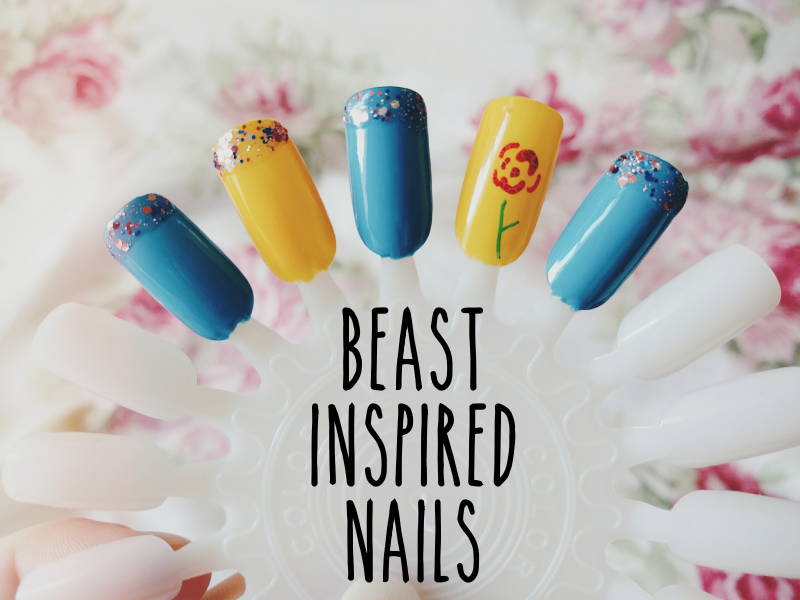 You may remember last month the lovely Sam from The Belle Jar and I did a Jack and Sally from The Nightmare Before Christmas nail art collaboration so to continue this series this month we decided to do Beauty and the Beast as it's the film's 25th anniversary this month! 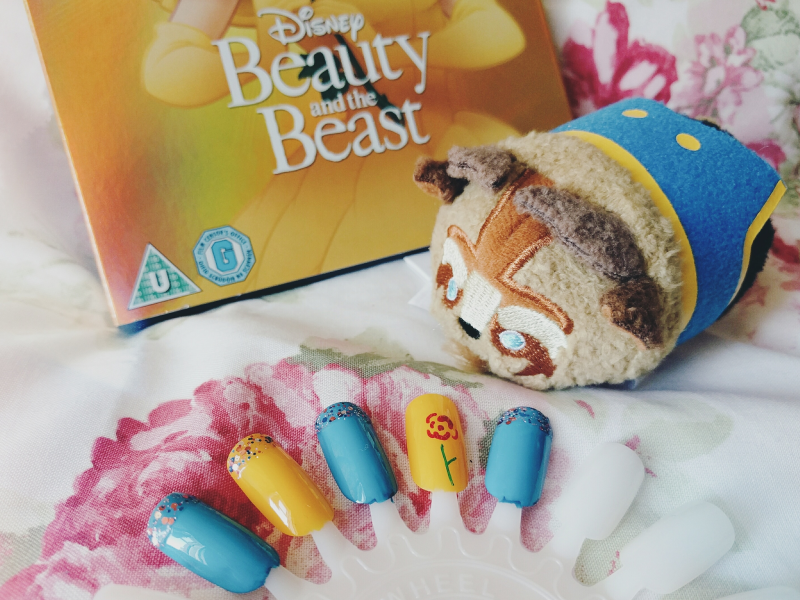 Whilst Sam did Belle-inspired nails, I was supposed to do a Beast-inspired look but after a four failed attempts this morning I've ended up with more of a general Beauty and the Beast look instead, oops! That'll teach me for rushing! Unfortunately I didn't have a good blue to match the Beast's jacket so I combined two blues together to make sort-of similar colour! I then wanted to do yellow on the other nails to represent the detailing on his jacket and while I think this polish is a pretty good match, it also looks a lot like Belle's yellow dress... Hence more of a Beauty and the Beast look than just the Beast! To finish it off I added some glitter to the tips and a rose to the ring finger for the Beast's Enchanted Rose. What do you think? Have I completely failed or just managed to scrape by haha? 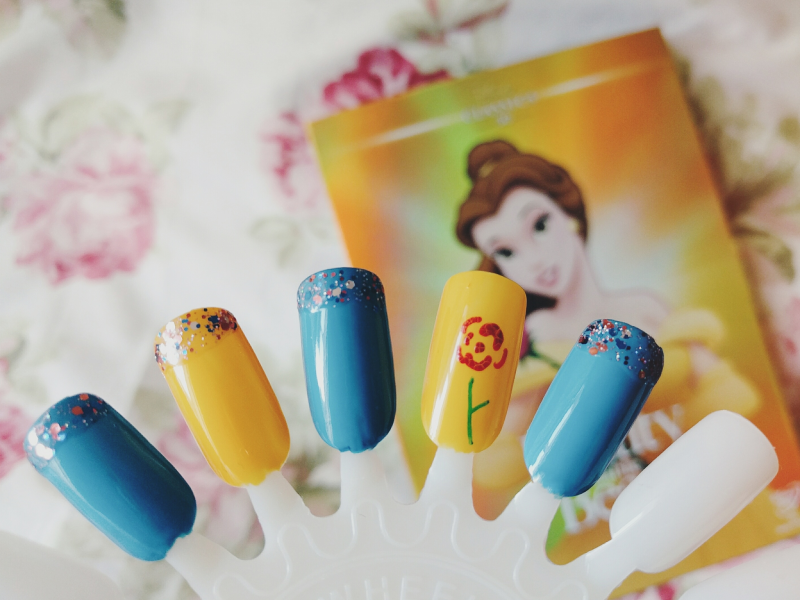 Remember to check out Sam's beautiful Belle nails!